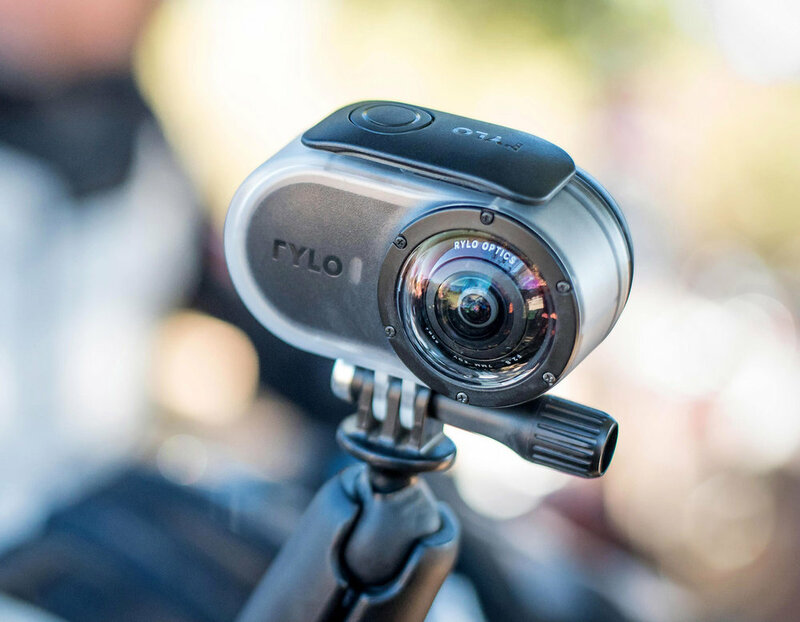 We contacted the guys at Rylo after seeing their Instagram feed @rylo and requested a camera to test. There was something about this 360 camera that obviously set it apart from standard action cameras. Once we got our hands on it we were blown away at the quality and ease of use. With the Rylo there are no extensive menus to mess with and the footage is easily transferred to your iPhone or android phone for editing. Transfer to your phone is via a cable not by Bluetooth, so one less thing to have a connection issue with. We used our Rylo on a four-day trip down to Baja (see story in this issue). Once we learned the basic on/off controls, we gathered some amazing stabilized footage. The video captured images that looked like they were shot on a gimbal, even when handlebar-mounted on rough Mexican dirt roads. There are two options for saving an edited video: either a HD output of your edited scene with “Follow Me” and “Look Here” edits or an actual 360 video. With a recent app update there is now a new in-camera edit tool called “Tune” that lets you tweak the color, contrast, highlights, shadows, vibrance and tone. I have to say for me the footage looks really good without any adjustments but I will start using these new tools on my next shoot. 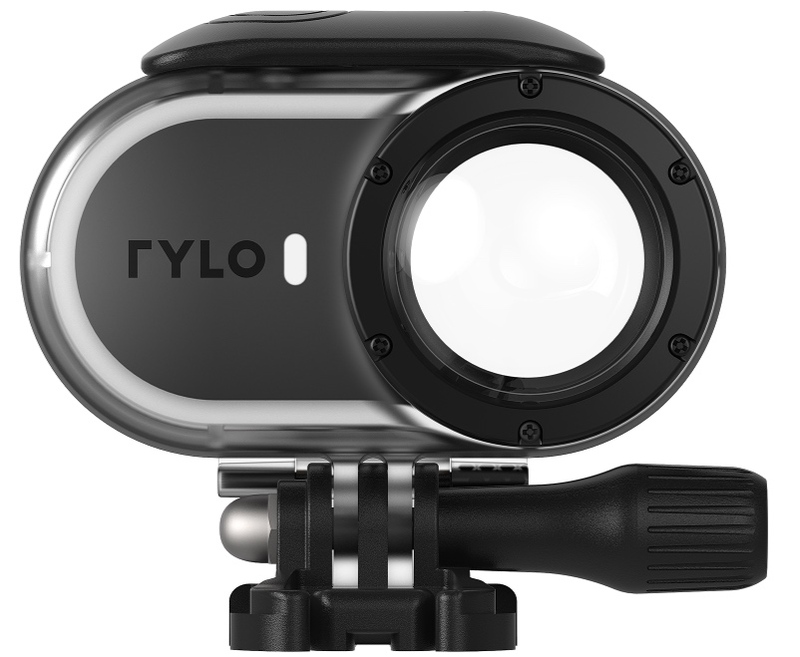 The build quality of the Rylo is top notch, and we did use the Adventure Case for protection whilst we were riding. It’s important to really handle the camera with care when it’s not mounted on your helmet as the front and rear lens ports do stick out. It’s easy to lay the camera down on the table whilst you are downloading footage and scratch the lens covers. For me the best thing about the Rylo is that it captures everything around you at once, so no more trying to make sure your action camera is pointing in exactly the right direction. You can concentrate on riding instead of turning your head sideways trying to get the shots of your buddies as you ride side by side down a trail. Overall we are very excited to try this amazing little camera on our next trip. The standard package comes with the camera and the following: Rylo everyday case, 16GB microSD card, battery, charge cable, sync cable and protective pouch. The Rylo retails at $499 at www.rylo.com. We highly recommend the $69 Adventure case for action footage on the bike. Adventure case lens covers scratch easily- Be careful! Looking for a great way to mount your Rylo? Check out the Dango Design Gripper Mount. Designed by riders, the Dango Design Gripper Mount’s rigid, lightweight and compact design gives you the freedom to use it in the toughest and tightest situations. Steel mounting hardware makes securing a variety of cameras quick and easy. Leash offers and easy to hold option and additional security while being used in high risk situations. Hole in clamp back provides additional area to run paracord string, or line through for added filming opportunities.